A motorcade carrying Attorney General William Barr arrives at the Department of Justice, on April 15, 2019, in Washington. U.S. Attorney-General William Barr plans on Thursday morning to release a redacted version of Special Counsel Robert Mueller’s report on Russian interference in the 2016 U.S. election and contacts between Moscow and President Donald Trump’s campaign, the Justice Department said on Monday. Department spokeswoman Kerri Kupec did not provide a precise time, but said the report, which Mr. Barr has described as nearly 400 pages long, will be released both to U.S. Congress and the public. Mr. Mueller turned over a copy of his confidential report to Mr. Barr on March 22, ending his 22-month-long inquiry. Two days later, Mr. Barr released a four-page letter summarizing what he said were Mr. Mueller’s primary conclusions. In that letter to Congress, Mr. Barr said Mr. Mueller’s investigation did not establish that members of Mr. Trump’s election campaign conspired with Russia. Mr. Barr also wrote that Mr. Mueller presented evidence “on both sides” about whether Mr. Trump obstructed justice, but he did not draw a conclusion one way or the other. Mr. Barr said that he reviewed Mr. Mueller’s evidence and made his own determination that Mr. Trump did not commit the crime of obstruction of justice. Mr. Barr has been under pressure from Democrats to release the full report without redactions. Mr. Barr, a Trump appointee, has pledged to be as transparent as possible, but he has said he will redact some sensitive information, including grand jury information and information about U.S. intelligence-gathering. After Mr. Barr released his four-page letter, Mr. Trump claimed “complete and total exoneration,” condemned “an illegal takedown that failed” and accused unnamed political enemies of treasonous acts. The redactions in the report will be colour-coded by category, according to Mr. Barr, explaining the reasons that parts are blacked out. Since Mr. Barr released his letter, Mr. Trump has set his sights on the FBI, and accused the Justice Department of improperly targeting his campaign. Last week, Mr. Barr told a U.S. Senate panel he believed that “spying” did occur on Mr. Trump’s campaign, and he plans to investigate whether it was properly authorized. 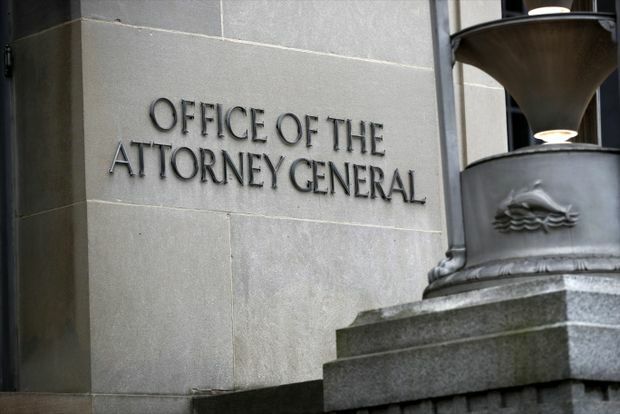 Mr. Barr’s comments were criticized by Democrats, who are already skeptical of how the Attorney-General has handled the report’s release.